Want to look like you spent hours getting ready in just minutes? Who doesn’t?!! Here are a couple of quick fix, beauty hacks to get you looking your best! When nails are wet, dunk them into a bowl of ice water to help them dry quickly. Rub olive oil around your cuticles before polishing. It makes it much easier to remove excess polish. Hide chips with a textured polish. Since a glittery coat won’t be as transparent, its not as obvious if it’s being used to cover up chips. Rather than re-polishing your whole nail, just coat over with a glittery topcoat! Steam nails for a matte look. Fixing some pasta? Boiling water for tea? Put on two coats of water and allow to stem while wet. Hold them about 5 inches above the boiling water and watch them transform to a subtle matte look. Use a clear topcoat over nail stickers. It will make them last longer and keep them from peeling while giving them a more painted on look. Love the look of glitter nails but hate the hours it takes to remove the polish? Use felt instead of a cotton ball. It will work like a gentle brillo pad to remove it quickly. To hide small lines and imperfections, you want your concealer to float above your skin rather than sink into it. For this effect, try dabbing an eye balm over your concealer. It should create a creamy texture that will blend in smoothly and not settle into little lines. Add face oil to your foundation to perk it up and give it a dewy glow, especially if you are refreshing your look for a night out without re-applying. Ugh! Who among us can claim that we are perfect at applying eyeliner flawlessly? But with cat eye looks being all the rage…who can afford not to? Try dotting eyes instead of attempting to make a straight line around the eye. Use the broader tip of your eyeliner pencil and press it to your lash line to make three of four quick stamps which will give the appearance of a straight, thick line. Creamy eye liner can be pretty, but it can also be overly soft and hard to work with and sharpen. If this is a problem you are having, try putting it in the fridge for an hour before attempting use. Don’t you love that rich, blended eye shadow look? Every try to get it and have it just not turn out at all as you had hoped? Well, never fear; using a creamy luminizer can help you create a subtle, glossy look. Hair: Say buh-bye to bad hair days with these awesome tips. If you have curly hair, or hair that is prone to frizz, try leaving it alone for a change. Many women make the mistake of touching their hair too much when it’s dry, disturbing the curl pattern and causing it to frizz. Instead, try simply washing, working through a bit of conditioner and then just letting it be. Try using a claw clip to add volume. After blow drying hair, pin it up into a sort of loose pompadour. Allow to sit while you apply makeup. When you remove it, you should see added volume in your locks. Another great way to add waves and volume is with braiding. Just wash hair, add a dollop of mousse and braid it into one big braid. Remove it later in the day for the desired effect. Use dry shampoo. Keep your hair in a style where it will stay smooth during the night time. In the morning, apply dry shampoo to rid it of excess oil and add lift and volume. So there you have it! 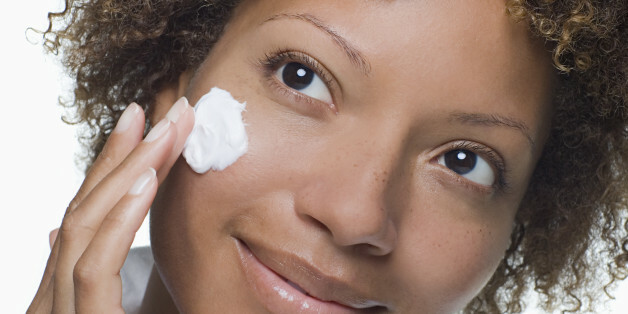 Some great quick and easy beauty tips that will keep you looking your best. Which ones will you make part of your beauty routine?